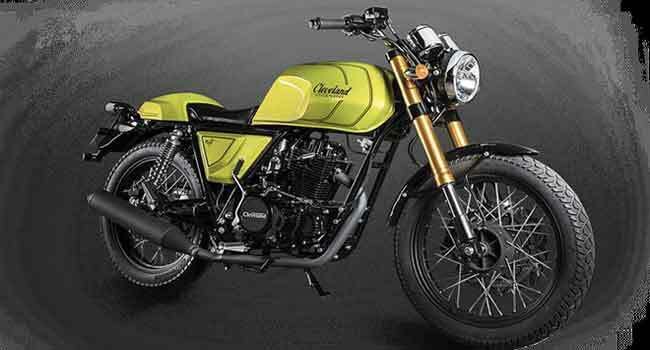 Cleveland Cyclewerks recently launched its two motorcycles in India. The Ace is a standard motorcycle & Misfit is a café racer. Both come with price-tags of Rs 2.24 lakh and Rs 2.49 lakh respectively. These motorcycles are costing more than the KTM 390 Duke, thus, making them ‘misfit’ in this price bracket. Cleveland CycleWerks of USA has started selling the bikes in India. One of them is the Ace & the other is Misfit. Cleveland CycleWerks recently declared the prices of these bikes. At this price, however, it will be challenging for the company to market them with the tough competition from the likes of Royal Enfield. Cleveland CycleWerks, an American motorcycle manufacturer, announced India entry for the two-wheeler market during the 2018 Auto Expo when it first showcased the Ace and Misfit. While the price of the CCW Ace was announced earlier this month, the company now revealed the price of the CCW Misfit. The Cleveland Ace Deluxe has a price-tag of Rs 2.24 lakh, while the Misfit carries a price-tag of Rs 2.49 lakh (prices ex-showroom, Delhi). The bike will come in two variants – the Misfit and Gen II Misfit. Cleveland Cyclewerks came into existence in 2009. Currently, the company has a presence in 23 countries around the world. Cleveland CycleWerks Ace and Misfit series will get their power from a 229cc single-cylinder engine that delivers 15.4 hp and 16 Nm of torque. The Gen II Misfit gets the styling cues from the original Misfit. The motorcycle comes with a single 320 mm disc at the front and a 220 mm disc at the rear. Both these motorcycles deliver a mileage of 34 Km/L according to the Cleveland CycleWerks. The CCW Ace series is slightly cheaper than the Misfit. It also gets the same 229cc, overhead valve engine. The Ace Deluxe and Ace Cafe motorcycles feature the aluminum wheels, inverted forks at the front and twin hydraulic shock absorbers at the rear. Scott Colosimo, Founder, Cleveland CycleWerks, said during the brand's launch at the 2018 Auto Expo in February that India is the largest two-wheeler market in the world and is strategically important for Cleveland CycleWerks. He went on to say that the company aims to bring a "unique biking experience that is truly American" to Indian consumers. The two motorcycles have been launched "keeping in mind the Indian rider, traffic, and road conditions," he added. Cleveland Cyclewerks Ace will be available in three variants - Ace Deluxe, Ace Scrambler, and Ace Cafe. Both the Ace and Misfit will come to India through the CKD route. CCW's Pune plant will assemble them. The company also recently launched its first dealership in Vashi, Navi Mumbai. However, the company is in talks with 10 more dealers across the country, most of whom are in south India. Cleveland CycleWerks India also conducted a contest on its social media platforms in which it asked the potential customers and followers to guess the price of the Ace and Misfit models. 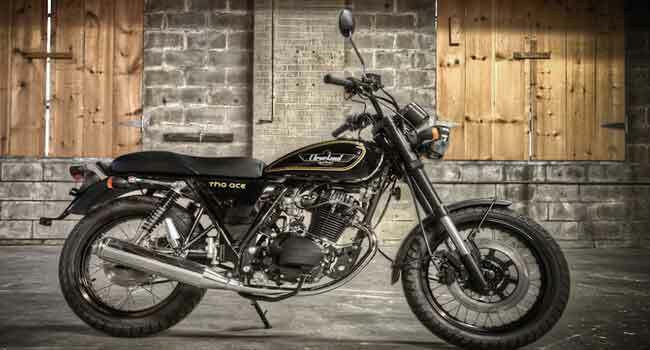 The two motorcycles sport a classic styling with which the company intends to aim at the young buyers in India. For the rivalry, these two motorcycles with classic styling and stance compete with the Royal Enfield motorcycles in the segment. However, the Royal Enfield bikes have competitive price and are more powerful. Besides, the CCW motorcycles will be lighter and may well appeal to the younger riders. However, the pricing of the Ace and Misfit might make it tough for them to gain substantial market share. This is because you can get the more powerful KTM 390 Duke for a price-tag of Rs 2.4 lakh (ex-showroom). The CCW Ace will take on the Royal Enfield Classic 350. The Misfit will compete with the RE Continental GT in the retro-classic motorcycle segment.